In Los Angeles, pretty much every Szechuanese, Hunnanese, and Yunnanese restaurant sells it. So we’ll hazard that it’s a western Chinese dish. The recipe that we didn’t follow to make this version here, is from Fuschia Dunlop’s Hunnanese cookbook. It calls for standard western cabbage — not nappa cabbage — which is similar to the tightly wrapped ‘bao cai’ (泡菜) of Hunnan. Take all the leaves off of the head of cabbage (or, as Ms Dunlop says, ‘divest the cabbage of its leaves’). Rip the leaves into bite size pieces. Heat the oil in a wok, over high flame, until the wok starts to smoke, just a little bit. Add the chili, and the garlic and sichuan pepper (if using). When the chili gets dark, and before the garlic burns, add the cabbage. Stir fry for a few minutes, until the cabbage leaves are tender. 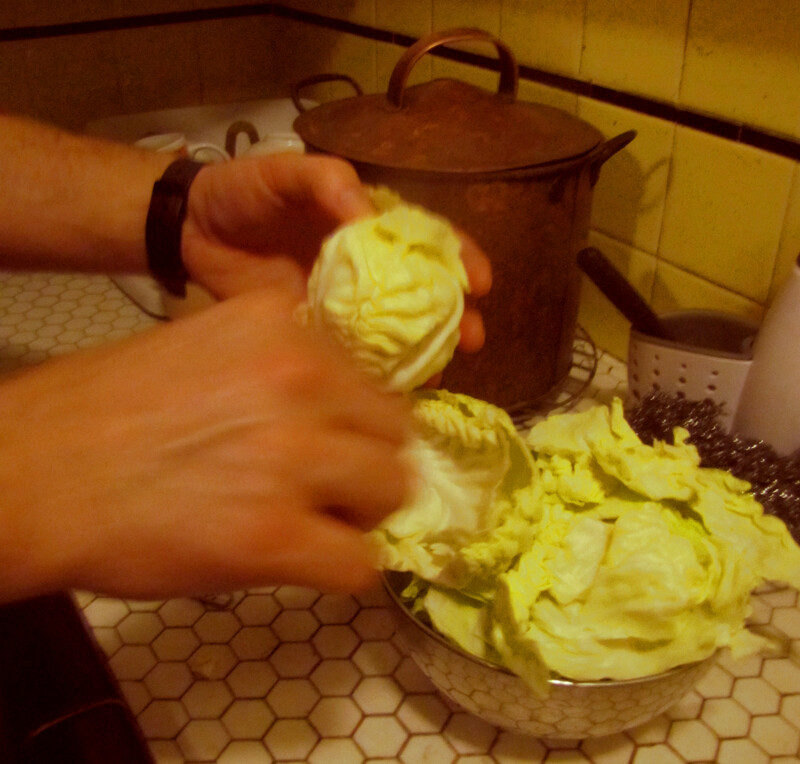 If any water comes out, push the cabbage aside, until the water dries up. Add the salt, and the vinegar. Briefly toss everything together, and serve.